How much energy do we lose angry at others? We’ve had a rough weekend dealing with an unfortunate reality in a dear friend’s life; a reality which has caused suffering for years and is hitting new levels of grief caused by the terrible decisions and actions of another person. In the midst of maneuvering reality, we have lost so much energy in anger! We handle the very real consequences one person’s actions have created, yet anger boils inside wanting to get out and attack! 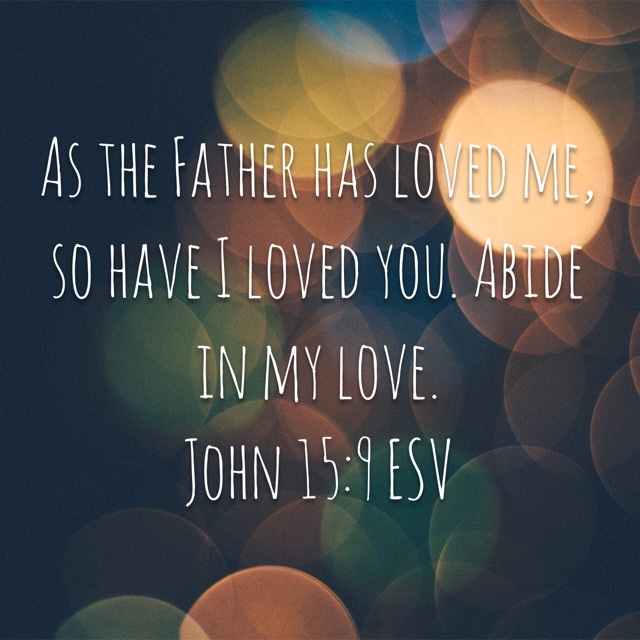 John, in his normal wordy way, reminds us in chapter 15 that God loves us and we are to show love to one another; that we will be empowered to do so when we act through God abiding in us. We discussed that these verses (particularly in the original language) are not about a God who delights in judgement. Messages throughout the Bible about dead branches (like John 15 and Psalm 1) tell us what it is like to maneuver human life without reliance on God as guide, an ever-present help in trouble. If we are a branch far away from water, far away from the Giver of Life, it is inevitable that we will be weak and “die.” When the wind blows or fire burns, we have no way to survive! (Metaphorically speaking…) With God near, providing a deep source of life, we stand tall – even in the worst of storms. God does not need to send a lightening bolt to punish the wicked… simply being far away from God will eventually wither the soul. God does not delight in vengeance. God loves, God IS love! Yet God knows that when our actions separate us from His divine love, our soul will wither, and with it hope and joy will disappear. In turn, God does not desire us to be vengeful. God knows an unforgiving, vengeful heart will not produce goodness, but separates US from God’s love. Our hateful heart allows other people’s actions to prevent awareness of God at work in OUR lives. We are called to BE love, hope and healing in our world – in the midst of life, not apart from life. This means we will encounter the evil in other people – and we must choose how we will react. So the reminder today and always – we stay on our path, choosing vibrant life by allowing God’s love to abide in and through us! Those who choose otherwise will experience a much more difficult path. They do not need our judgment, and are not worthy of our anger. For us, not being judge and not dwelling in anger gives us freedom; freedom to just love! Freedom to share a message not of condemnation but of good news of a God who offers hope through grace and love!